Post news Report RSS	Update 5.1 - now released! Greetings everyone we hope you all enjoyed the holidays as much as we did! We’ve been working hard to try and get this important update out so let’s get to it! First off, we hope that everyone has been enjoying the previous update which featured mission 2 “Vacancy”. Since the beginning of the new year, we have been working hard on a number of important issues based on feedback we’ve been receiving from the community. First up, we have updated the version of the engine to 4.21.1. This change while largely beneficial has introduced a number of bugs which we have been working on in order to release todays update. We’ve also fixed a critical bug that’s been affecting Oculus users where some control bindings were being doubled up causing movement to eject magazines from weapons and other oddities. A significant change worth mentioning is that we’ve replaced auto-lift with grab helper. Grab helper is enabled by default, and will let you more easily pick things up in the game. Just point at whatever it is you want to pick up and when the item glows blue, you can press grab to snap it into your hand. It’s still in beta, with some additional polish coming later but we felt it was definitely ready for public consumption, enjoy! Many users understandably have been frustrated by the lack of a save system since our previous one was removed due to the overwhelming number of bugs associated with it. We’re happy to announce that work on the new checkpoint system has started and we will be moving it into beta branch soon! Beta branch is currently available to our testers only, but we may re-introduce a public beta branch so that when important changes are made we can get public access and feedback before it goes live on main branch. It’s been a long time coming, but we decided it was time to add a chainsaw to the game. Currently it only exists inside day 2 of Vacancy. You can find it down at the trailer park on top of a table just waiting to be put to good use. We have been getting numerous complaints from zombies that this is an unfair and unbalanced addition to the game, all we have to say is you had it coming! 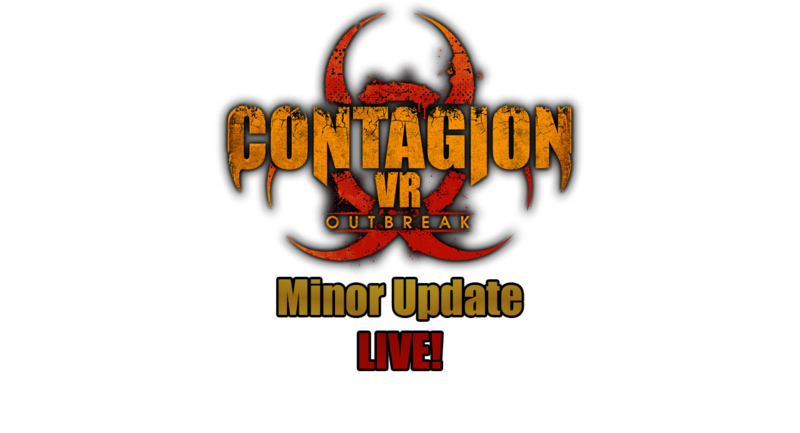 Zombies are retaliating and have called in for some reinforcements, along with the new runner that went in last update, we’ve been seeing a new beefier version of the standard zombie we call the “Thug” for reasons you’ll discover for yourself. Lastly we’ve also been layering in some polish, mission objectives in particular got a nice update. In any mission, when your objectives are displayed, you’ll see a nice pop up that should help a bit with some confusion players have been experiencing. From all of us at Monochrome, we thank you for the continuous support, we’ll see you next update!